I have been performing on the bass guitar and guitar in Western Washington, [Seattle-Tacoma-Olympia-Yelm] area for nearly 40 years. 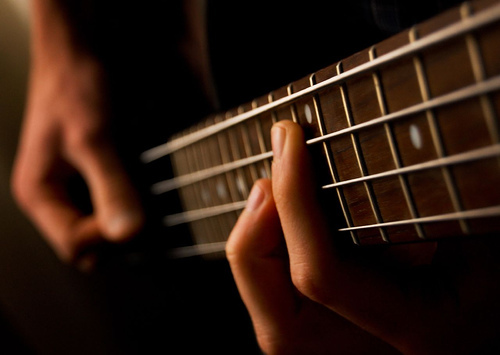 Over that time I have developed a unique and highly successful method of performing on the bass guitar, and I have given lessons in the greater Olympia area. Rather than me telling them what to learn, I ask them what they want to learn; then I show them how to do it. I show them exactly how to play it. Every individuel has a unique creativity within them. This makes learning the bass and/or guitar fun and exciting because it motivates the student to practice, thereby producing immediate results. As we learn their music, I explain to them in technical terms what they are learning. Each piece of music they learn develops their finger skills and musical vocabulary. Learning guitar or bass should be fun, that’s why they call it “playing” the guitar, not “working” the guitar. Steve Bartlett Bass Guitar Instruction by Jan Rose-Bartlett is licensed under a Creative Commons Attribution-NonCommercial-NoDerivs 3.0 Unported License.